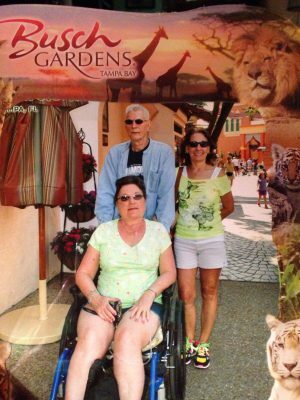 Until 1996, Tina Nelson, a wife, mother, grandmother, and nurse, had no idea she was living with the rare genetic condition Alpha1-Antritrpysin Deficiency. 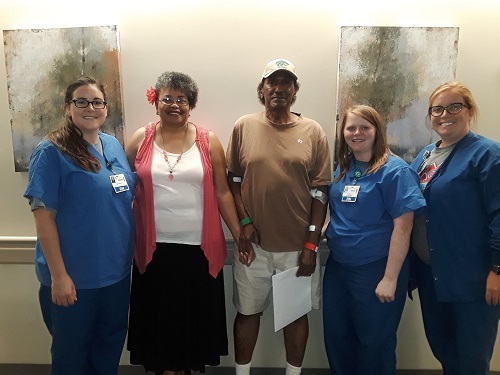 After years of fighting emphysema caused by the condition, Tina learned she would likely need a lung transplant to survive. 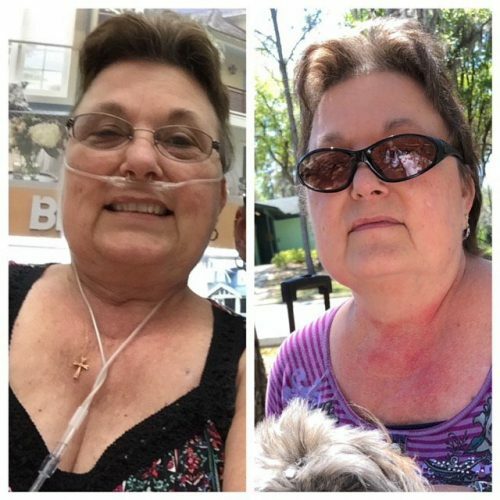 In 2010, she began using supplemental oxygen 24/7. 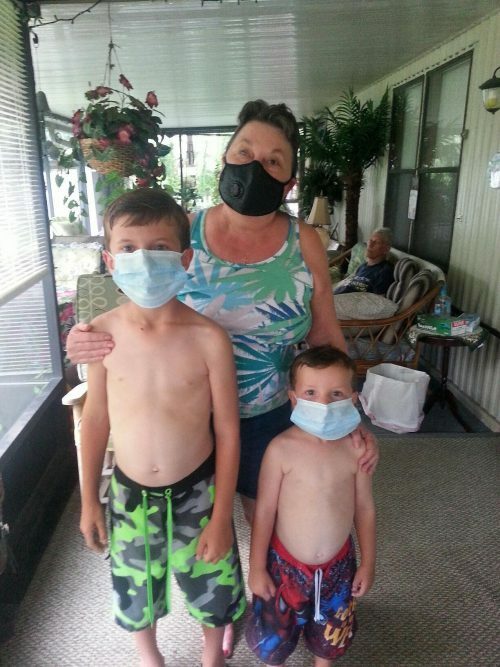 By 2014, she was on the transplant waiting list for new lungs. 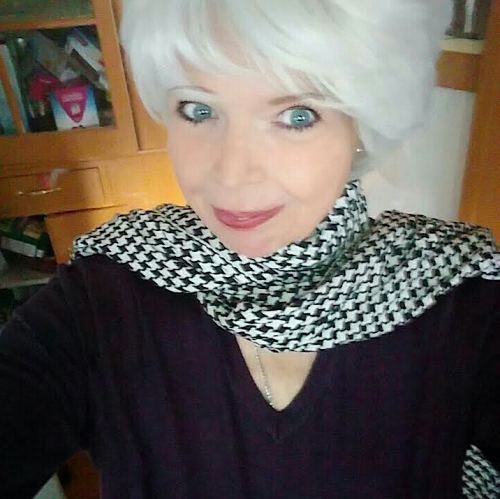 Today, Tina is celebrating her 1-year transplant anniversary and her “new beginning” thanks to the rainbow in her cloud: her deceased organ donor. What were some of the biggest inconveniences in your life due to your medical condition? I was unable to do the simple things in life, like walking to the mailbox, washing clothes, showering, and dressing. It all had to do with my oxygen. I was very short of breath. I was limited in almost all my activities. What were some of the financial concerns you had to deal with pre-transplant to stay healthy? My pre-transplant costs included medications, oxygen supplies, and co-pays for doctor appointments and follow-up visits. Not to mention my electric bill—I had to keep the air conditioning running just so I could breathe! How long were you waiting before you got “the call”? I was on the waiting list for 27 months with two “dry runs” [she received “the call” but the lungs were not viable]. It was an emotional rollercoaster. When the call finally came through, I wasn’t sure how to feel. I was excited, but I was scared, too. I knew it was my only chance for survival. When I woke up, honestly, I was just glad to wake up. I knew I would be on life support (temporarily) so I was prepared for that, but it was still very scary. How soon did you notice physical improvements? Right away, you don’t feel any different. But after five days, I could go without constant supplemental oxygen. That was great, but again, it was scary for someone who had been completely dependent on oxygen for so long! Just a few weeks after, WOW. I required no oxygen to walk and I had no shortness of breath. My sister was diagnosed with stage 4 brain cancer last year. Her condition is stable at the moment, but now I am able to take her to chemo and back. I am truly blessed to be able to do that. She is very important to me. I get stronger each day. I have had a few infections since the transplant, but my last CAT scan was completely clear. My lung function is very good! It’s wonderful to just be able to grab my pocketbook and walk out the door. 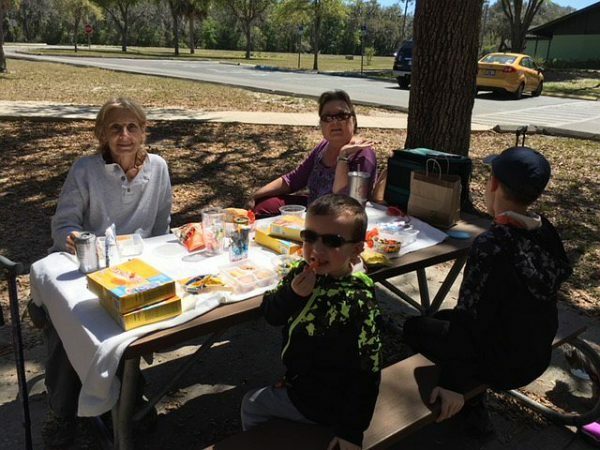 Recently, I was able to go to the park with my sister and her grandchildren. It was the first time I had been able to visit any park in well over a year. Can receiving a transplant be an emotional and physical experience? It’s a very emotional experience. 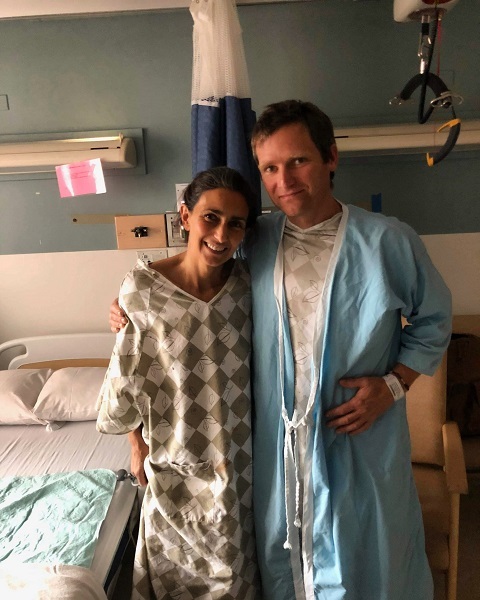 You are feeling all different kinds of ways: blessed for a second chance, sad for the donor family, amazed that transplantation is possible and works. Have you been able to contact your donor’s family? I wrote to my donor’s family. It was one of the hardest letters I have ever written. I don’t know if they have read my letter or not since I go through my transplant coordinator to contact them. They will be able to contact me if they want to touch base. How has Help Hope Live helped you? Fundraising with Help Hope Live has been a blessing for me. [My Client Services Coordinator] has helped me with my fundraising efforts, and that has given me relief from money worries. I have shared Help Hope Live information with other transplant patients. On your transplant anniversary, what does “hope” mean to you? It represents feeling blessed, miracles, and tomorrow. Family. Believing. Nothing can stop you now. 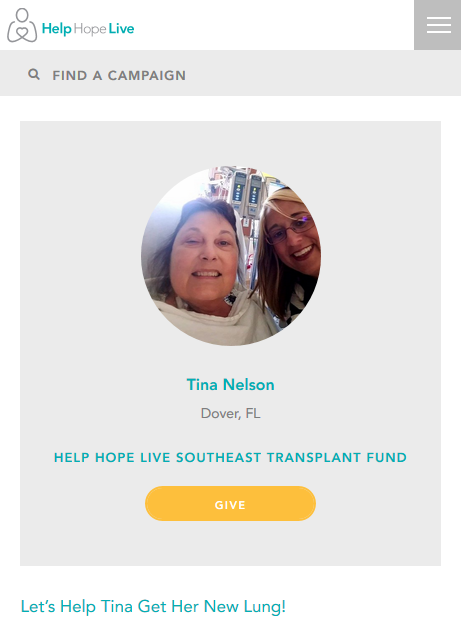 Tina will continue to fundraise for the Southeast Transplant Fund to manage post-transplant expenses. Follow her story at helphopelive.org. Enjoy Touched By Transplant stories on our Blog all month long! Subscribe on our Latest page to receive email updates.